There are over 1565 cryptocurrencies available on the blockchain as at now, and new ones can be created anytime, bitcoin is the leader of all, I have been hearing about it years back but I didn't had an idea how the crypto works, maybe I wasn't even interested then until now, that's a regret for most of us who who are just into the cryptocurrency world, over the years bitcoin has gone through ups and downs, bitcoin was once at the state Steemit is, at $2, back in 2011 and at the of 2017 bitcoin had a boost of $17000, there are ways by which one can earn bitcoin, which i already did so many researches online to know how, there are many illegal free ways online on how one can earn bitcoin, and so far i don't think there is a free way to achieve this. You can earn bitcoin by mining them, the mining can be contacted out to companies that will help you mine them, for period of time maybe months or annually, all you will have to do is buy hashrate to start mining bitcoin, Etherium, Litecoin and many more , beware because there are some fake cloud mining website out there who claims they would mine bitcoin for you, so far I found two 100% legit website to use for your cloud mining, hashflare and Genesis. Making and receiving payment online. It can be use to receive payment from your customers online, and you can also use it to buy goods online making payments into the wallet address, you will have your own address too where your payments will be received. Some of other big names in cryptocurrency is the Etherium, Ethereum was created back in 2013 by 19-year-old Russian programmer and was launched in 2015. In the first two years the price of Etherium remained below $10. Then, in 2017, it exploded and reached $700. Recently, CEO of cryptocurrency hedge fund Pantera Capital, Dan More believes that the total cryptocurrency market capitalization can reach $40 trillion in about a decade. The current market cap is at $421 billion. The market cap of cryptocurrency is edging Closer to Facebook gradually, bitcoin is even predicted to hit $1million, towards the ending of 2020, which currently is above $9300 today, I hope that happens. 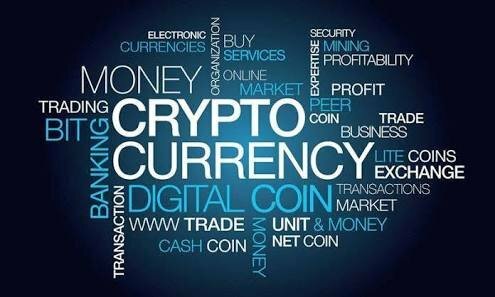 There is also a way by which one can also invest in bitcoin and other cryptocurrencies, using the cryptocurrency exchange to buy other coin, some of the exchanges you should check out are. Binance is cryptocurrency exchange company based in Hong Kong, they have recently updated some coins to there website, they also have bnb coin, and you can exchange for other coins. Take a step today to know more about cryptocurrency, before you know you will wake up tomorrow and hear that bitcoin is $200k, it was even discovered that those who invest with $1000, on Etherium in six month are to earn $36000. Let's start investing in cryptocurrency today. Thanks you very much for finding my blog informative, as you have noted, I am working more in proceedings my writing. Looking for multi-currency online wallet to store and trade your crypto with no risks? I recommend to try https://swap.online web wallet, it's cool and fully decentralized instead of binance, dex, else. Thanks for stopping by, I appreciate.